As a career, it’s a good choice to be a Respiratory Technician, because this specialization has huge employment prospects and a fantastic salary. In fact, this is one of the few occupations with a good demand, requiring only an associate degree. Therefore, once the candidate is certified as a Respiratory Technician, all he has to do is to gain some valuable experience while working as an assistant in a reputed hospital or care home. In about a year’s time the technician would have sharpened his skills and got familiar with the work setting, which would propel him into a fulfilling career and earning the max potential income. As of writing this, the average Respiratory Technician salary is $48k per year. On average, respiratory technician salaries are about $48k annually in the United States. The salary ranges from $32k in the lower percentile to $68k in the upper range. By far, the industry with the highest salary for Respiratory Technicians is Health and Personal Care Stores at $73k. This industry would be your best bet in terms of maximizing your earnings potential. Second is Nursing Care Facilities at $61k per year, followed closely by Nursing and Residential Care Facilities at $60k. To increase your chances of a higher salary, target Respiratory Technician jobs in these industries first. Nevada was the only state to have an annual salary of over $70k. Maryland and Connecticut were distant second and third at $65k and $63k per year, respectively. In terms of average salary, these are the best states to work in. Go see the respiratory technician salary by state chart for full details. As with any rankings list, there are the ones at the bottom. North Dakota was the lowest paying state for Respiratory Technicians at $35k, followed by Kentucky, Alabama, and Oklahoma, which were all under $40k annual wage. If your salary is a huge concern, stay clear of these states. The major cities of Seattle, Bellevue, and Everett in Washington state had the top paying annual salary at $67k. If you’re looking to work in a smaller town, these are the top paying non-metropolitan areas. Number one on the list is Maui and Kauai in the state of Hawaii with an annual Respiratory Technician salary of $56k. The other suburban towns to make this list are Southern Vermont, West Central Pennsylvania and Central Indiana. The #1 place to find Respiratory Technician jobs is in the state of Texas (over 1k professionals), followed by the #2 Florida with 800. The job of a Respiratory Technician (RT), also known as Respiratory Therapist, is a crucial one, as the person treats and provides support to people with cardiopulmonary difficulties. While most of the patients are known to have some kind of a breathing difficulty, an RT may also have to handle emergency cases when someone is going through an acute respiratory situation due to an accident, an allergic reaction, a heart attack, or even a shock. Some of the patients may include premature babies with underdeveloped lungs, and people with lung diseases such as asthma and cystic fibrosis. 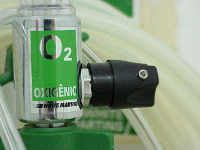 The treatment plan sometimes includes removing mucus from the lungs and/or inserting a tube into the windpipe, which is connected to a device called ventilator, so that the lungs may get oxygen. A home care Respiratory Technician may have to set up ventilators and guide the family members on how to use them. 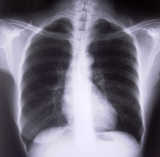 Respiratory Technicians also team up with other specialists in surgical cases. They make sure the patient receives proper respiration during and post surgery, which becomes part of a complete recovery plan. As with most other medical or its allied tasks, the work of a Respiratory Technician requires one to have some special characteristics. One needs a tremendous amount of patience while handling long term patients and their family members. A caring nature and the ability to be polite all the time go a long way in establishing good rapport with the patients and their families. In the case of an emergency, the RT has to depend on his or her presence of mind and swiftness, as often their decisions and efficiency is the difference between life and death. The RT must have excellent communication skills, so as to be able to team up effectively with other medical professionals. Because of their important role in health care, skilled RTs are in great demand. Also, because of the criticalities involved, the job needs specialized training. If you find this work interesting and would like to become a Respiratory Technician, you must get an associate degree in the subject. Many colleges, medical schools, and vocational training institutes offer these programs. As a part of the training, the student would have to develop a good understanding of human anatomy in addition to getting a good comprehension of how various diagnostic procedures are done. The more the person understands the medical concepts and different methods of treatment, the better he will be in giving proper care to a patient. Understanding the challenges and requirements of becoming an RT is important in deciding if this is the right career for you. That combined with a lucrative Respiratory Technician salary makes this career quite appealing. Not only that, you will feel great knowing that you’re helping people overcome their respiratory issues.